Phil Keen is nominated here too for a storming display in terrible conditions at Spa in Terry Pudwell’s Stealth. 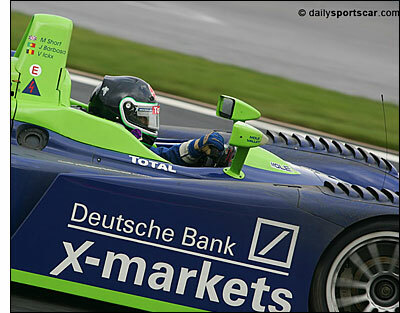 He also made his international debut aboard a Tech 9-run GT2 Porsche at the Nurburgring LMES round. Mike Newton gets a nomination too, despite his prior experience: he was showing great form in 2005. Sebastien Loeb gets a vote too for his fast out of the box performance in the Pescarolo at Le Mans and Timo Scheider is recognized for his first full GT racing season aboard the Vitaphone Maserati. Third place though isn’t a driver but a car – its combination of gorgeous looks, great speed and a screaming V12 soundtrack make the Aston Martin DBR9 a favourite here. Second place goes to a young man who almost stumbled into a sportscar programme on the back of a failed MG DTM programme (which fell victim to the collapse of the parent company). After a couple of expensive ‘offs’ he matured rapidly and by the season’s end there was little to choose between him and his highly rated team mate – Tom Chilton is our silver medal winner. But the winner is a young lady who is far from a rookie, but qualifies here as she stepped up to a prototype programme this season and impressed hugely throughout. We’ll happily judge her performance on that basis. 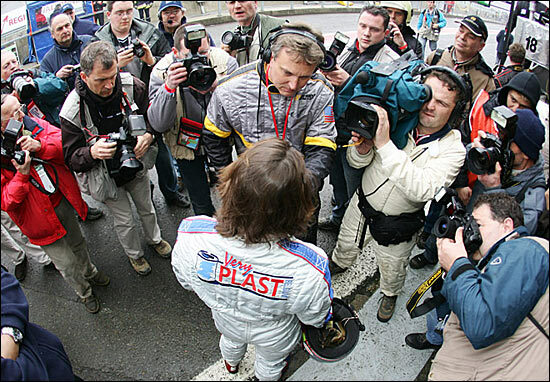 dailysportscar.com’s 2005 European Rookie of the Year is Vanina Ickx. “Shorty said she was quick and she proved it” Graham Goodwin.